The author is an acclaimed jewellery designer and manufacturer with an eponymous jewellery brand. His product lines all feature high design quotients and are stocked by retailers all over India. Designing a piece of jewellery is like trying to capture gold, silver, diamonds, gemstones and a variety of other materials, your vision of an idea or emotion. In a sense, you’re telling a story. The finished product represents something other than the material. But you then have to put a material value to it when you try and get the consumer to buy it. Novelists, film-makers and songwriters have all successfully put material values to the products of their imagination. 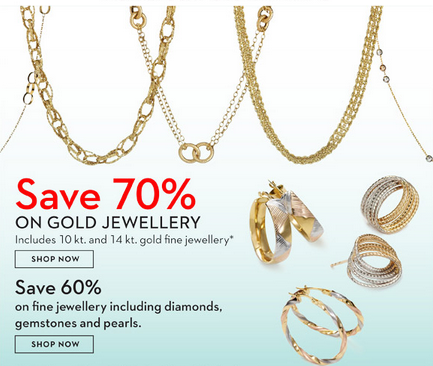 The jewellery industry seems to have failed spectacularly at this task. While books, films, plays and music all fetch premiums during holidays or festivals, jewellery seems to mainly rely on discounting during the most important sales periods in the year. It isn’t some great revelation when I say that this is because most retailers tend to only see the intrinsic value of the materials that have gone into the jewellery and assume that this is all the consumer also sees. They then add the least possible amount for the trouble they took to source, stock, display and persuade the consumer to buy the product. In today’s competitive commercial environment, when everybody is thinking this way, it leads to ever-more-aggressive cannibalism within the industry as manufacturers, distributors and retailers all try to undercut each other in trying to sell their product. We have ridiculous levels of discounting over major sales periods — to the point where I know people have actually sold at losses just to keep their product lines moving. I haven’t understood the point of doing business like this. This process is a dead end. It destroys any perceived value the consumer might have for the product and it hammers what should be a high-value business down to the level of a sidewalk fast-food stand. Instead of competing with other products for the consumer’s disposable income, jewellery industry stakeholders are engaged in a no-holds-barred fight to the death with each other. Enough said about the problem. What about a solution? In my opinion, there is a simple, unspectacular way to work our way out of this self-destructive way of doing business. What if retailers stocked, along with their usual product range, a handful of high-design-quotient pieces that are not part of their usual offering? Let’s call these pieces the Style Statement range. After the consumer has been sold a “regular” piece and is now satisfied with the acquisition of whatever intrinsic value it has, the retailer could, without any pressure on the existing business model, attempt to sell the pieces from Style Statement Range for as high a premium as possible over their material and manufacturing cost. The retailers would have only aesthetics and symbolism of the pieces to leverage for value. They would have to tell a good story to generate a high perceived value for the pieces and the statement they would make for the wearer. It isn’t as impossible as it might seem — remember, the garment people have made style statements out of torn jeans. A beautifully designed and manufactured piece of jewellery would be a lot easier to sell. If those pieces could be sold successfully, the process would establish a base model for the retailer to start migrating more of his product offerings to the Style Statement line. The retailer could leave behind the self-consuming discount method of selling that currently dominates our business. We deal in a product that is not only intended to adorn the wearer but to pass on high perceived value. The key is to remember that the perceived value should be of the product and not of its component materials. Luxury cars use the same steel everyone else does, luxury shoes use the same leather as do the high end baggage brands. Consumers happily pay premiums over the everyday product to acquire them. We are the only ones discounting our product. It has to stop. Developing a separate range to try out this idea is not going to disrupt anyone’s current business model. It might be hard at first, but it would end the self-destructive cycle we’re in now. It’s worth a try. Agree.. ...Counter/retail teams at all levels need to link product knowledge with sales techniques.